The Gen 2 is now 2 secs fast. Thought I'd update after six days to keep the maths easy. Currently 2 seconds fast which I make +0.3 spd. 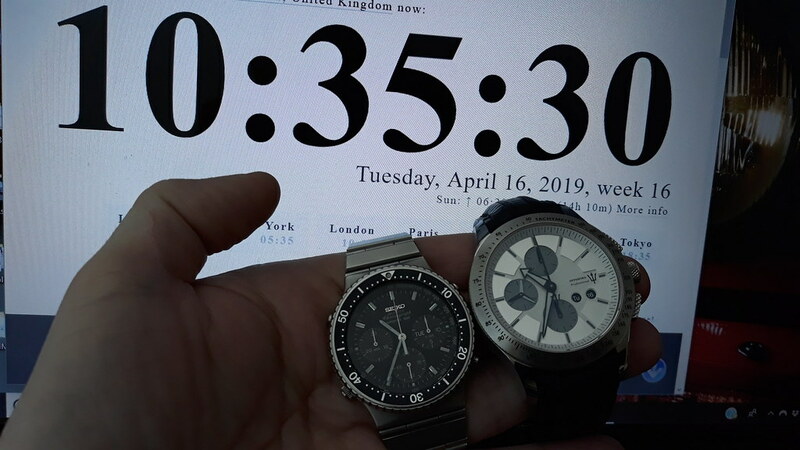 As an aside, I've been running my own timing experiment with my newly three acquired Citizen all of which run the E168 quartz eco-drive movement. 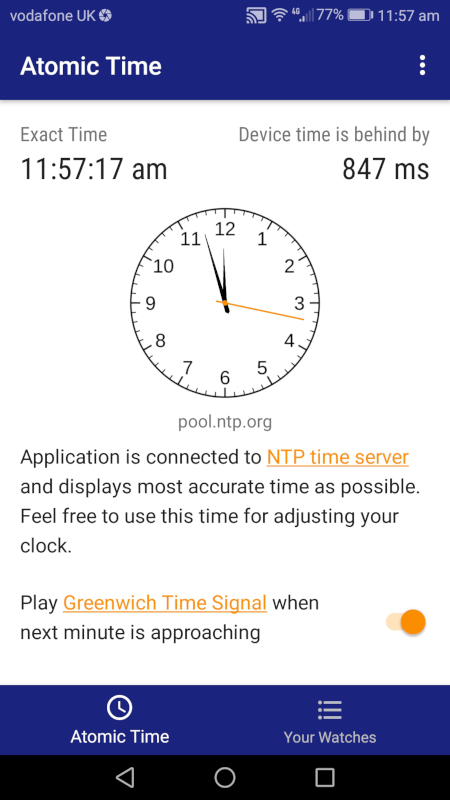 I've been using the excellent Android app, the snappily titled; Atomic Clock & Watch Accuracy Tool (with NTP Time) by Thomas Hubalek. 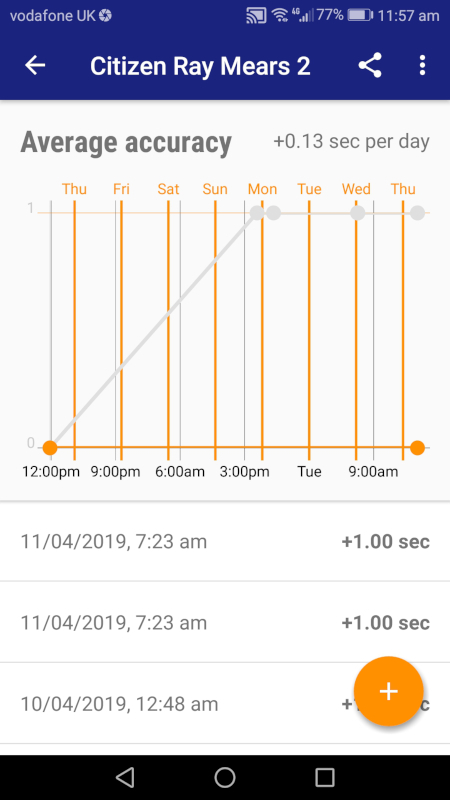 The free version of the app allows you to track only one watch and is therefore utterly useless for all TZUK members.... However for a modest fee, it unlocks to let you track as many as you like. 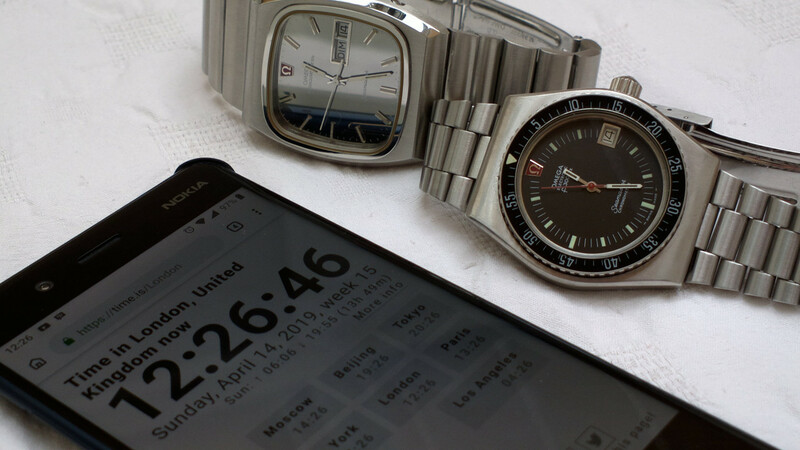 The app syncs to your choice of NTP server, shows atomic time, your phone's deviation and helpful also sounds the pips to aid synching your watch audibly. I like it. 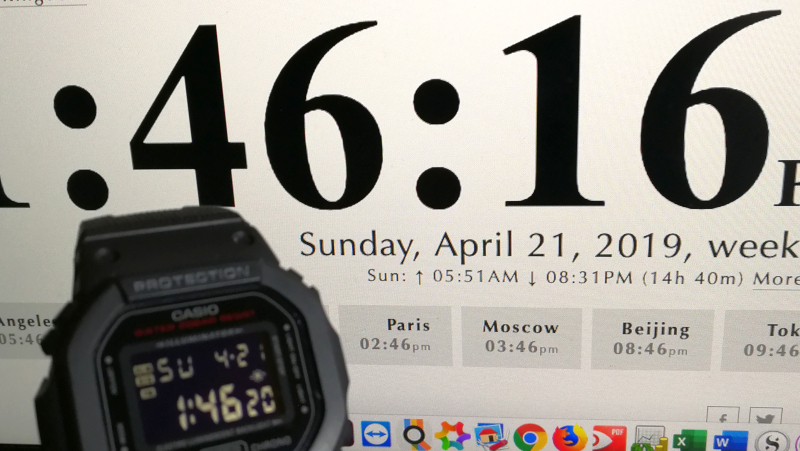 First the main screen showing atomic time. 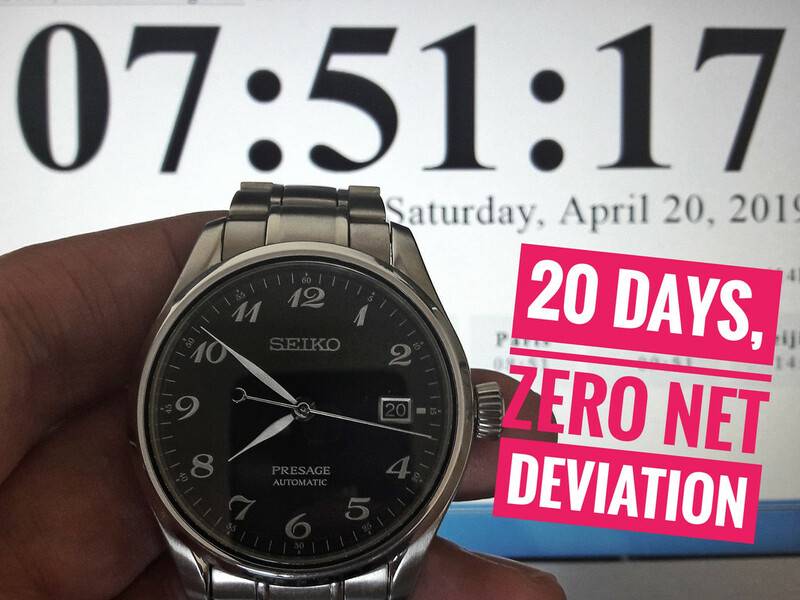 Next is the list of your watches and the rate and number of measurements. 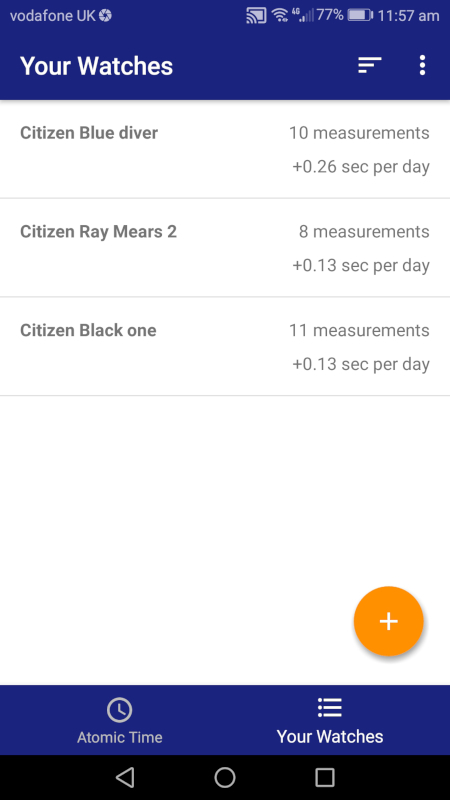 As you can see Citizen's model numbering has not yet sunk in. Finally your measurements graphed. 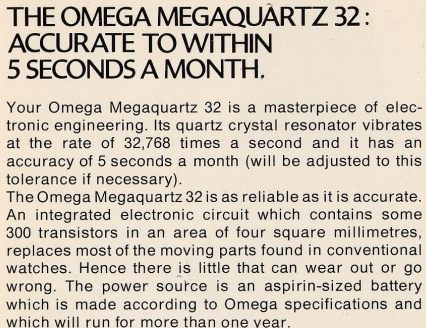 On a quartz, the most helpful result is the daily rate, but for a mechanical I imagine the graph would be more informative. 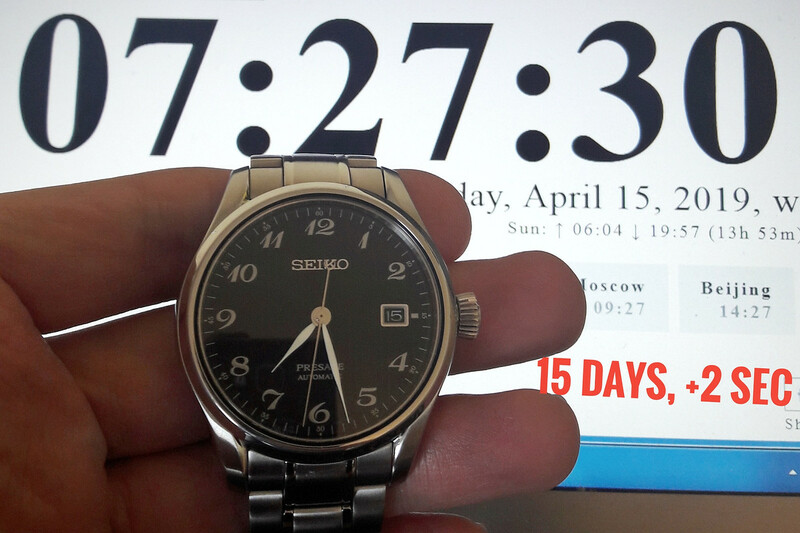 You enter a reading by pressing the orange plus sign which takes you to another screen where you press a button when you want and then enter the time shown on your watch. If you fluff it, there's a very helpful try again option. 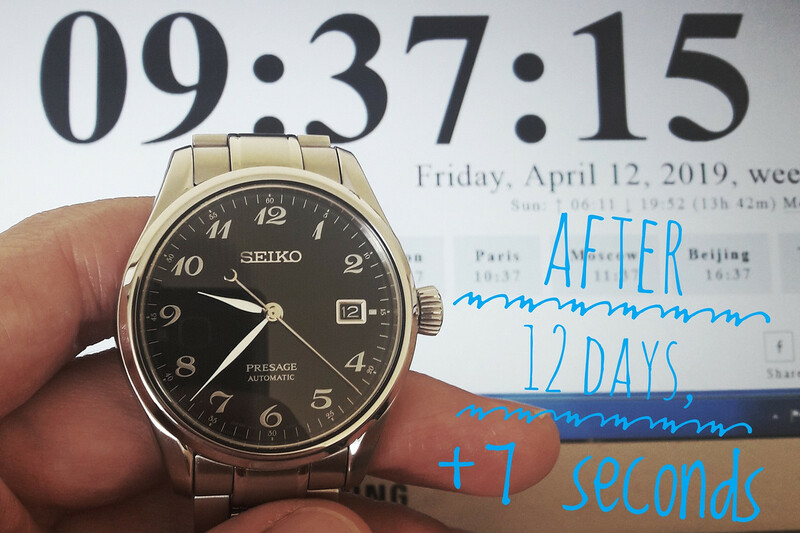 You then adjust the time shown on the screen to the reflect the time on the watch and you have your reading. It's easier to do than describe. 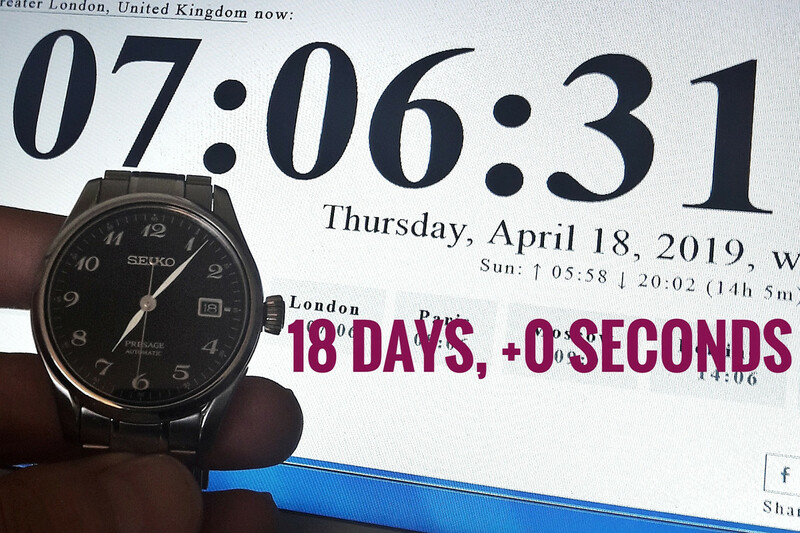 ^I love the idea of the pips sounded, wish watch tracker had that! A week in for the GS SD showing +2. The 3 quartz still look bang on (almost). Updated again - some very tight quartz runners here! Still quite chilly weather, so I'm rooting the Offshore Pro will speed up a bit as it gets warmer. Last edited by Der Amf; 14th April 2019 at 07:28. First update to mine. 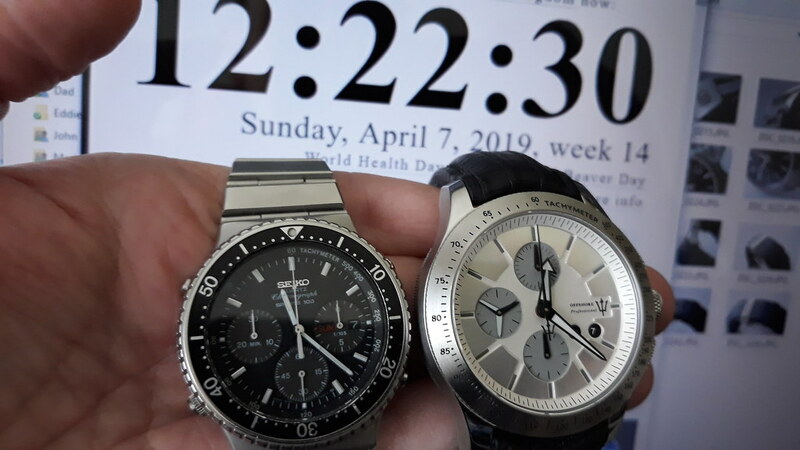 Stupidly when obsessing over getting the second had bang on for my Longines Ultronic I failed to notice I nudged the minute hand way out as I pushed the crown back in(you can see in my first pic the second hand on the 60 but the min closing on the following minute). Anyway it's gained a good amount(I think about 1.5 mins so might have to contact Paul on that one seeing as it's freshly serviced) but too confusing to work out so I'll remove it from here as I've just reset the thing to gauge properly. So Longines Ultronic out. Omega Megaquartz performing excellently for a 45 year old, gained 1 second after 2 weeks. These were advertised as within 5 seconds per month when they released so performing well within spec after a service. Seamaster F300 doing not quite so great and has gained 11 seconds in a week and a half. Still not bad as service history unknown and not sure what the accuracy was claimed for these F300's on release? Last edited by Tetlee; 14th April 2019 at 12:50. The 3229 module is +2 now after two weeks, it's quoted at ± 15 per month, so well ahead of spec. 7A38 is still bang on the markers, 15 days in. 0spd and 0s variation to date. Quite something for a 1986 watch! 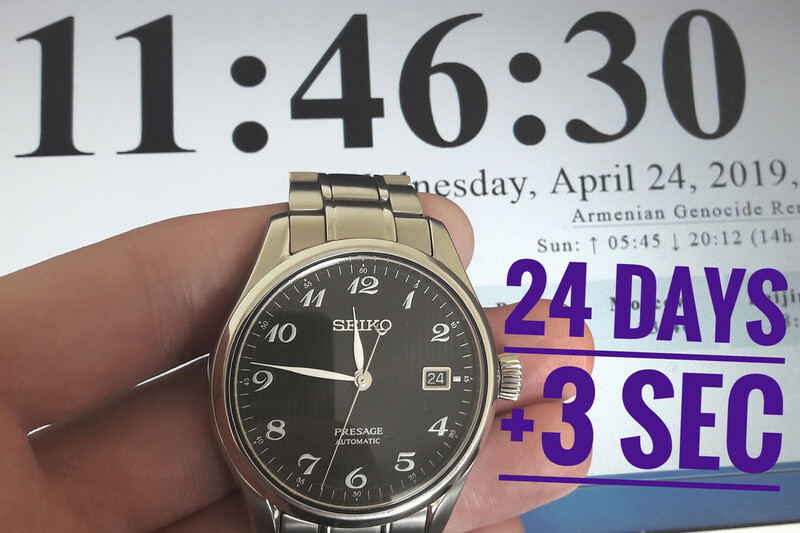 Grand Seiko SBGA041 Spring Drive is now +4 seconds since the start, so +0.25 seconds per day still. Lovely and consistent! Last edited by Craizeehair; 20th April 2019 at 07:58. This has gained two seconds this week and so is now +4 for the month. Eleven days since the last update and another 5secs added. A total of 7secs fast. Think it is in the running for the Quartz Wooden spoon. As before, a day not worn produced a slightly bigger wobble than the daily cycle. I'm going to start having more of those days off, and see how it copes with that. I think it's proved that when worn daily it's impeccable. 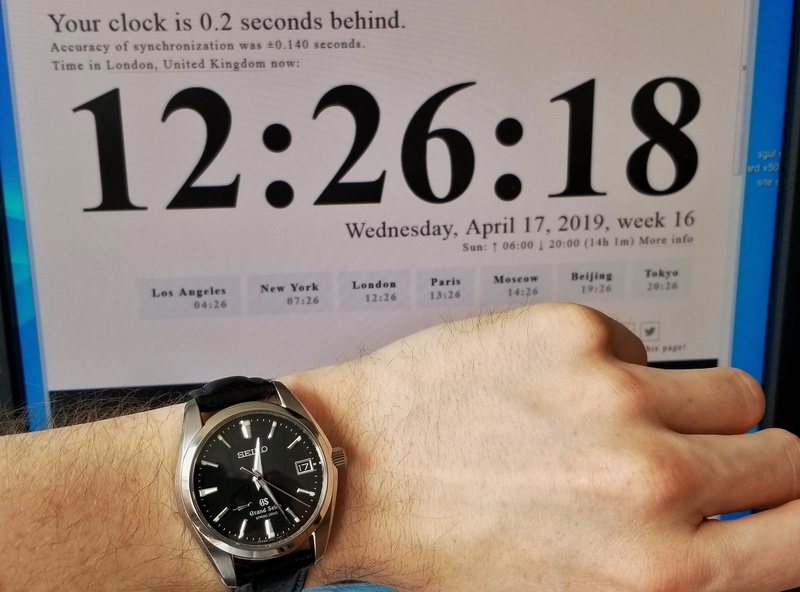 I suspect that sooner or later I'm going to want to give another watch a proper run - I had already been wearing it a week when this challenge started - but I'll hold out as long as I can. That is immensely impressive when worn. Stock regulation or has it been fiddled with since new? I too am getting a little wrist itch for another watch. 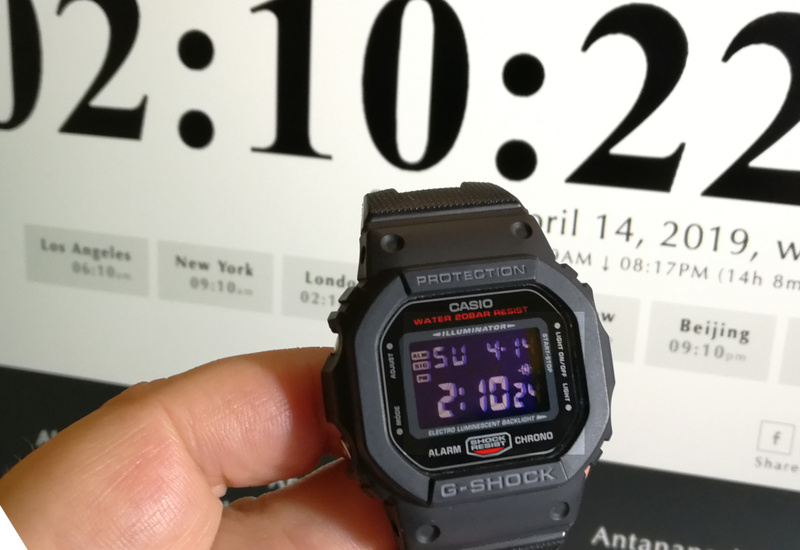 I didn't wear my GS for a couple of days whilst away and was very pleased to put it back on wrist, but now I'm kind of bored! Maybe a strap change (again) is in order. Straight from the box! The movement is only rated +25 / -15 s/d. I think this is one of the more expensive models to contain this movement - perhaps they funnel the movements which chance on better results into the more expensive watches? Who knows. I've read other people being very rude about their experiences with this movement. But "expensive'" is very definitely relative - this was only £600, and that was full price. I think it's just a wonderful fluke, and one that is veryyy endearing. 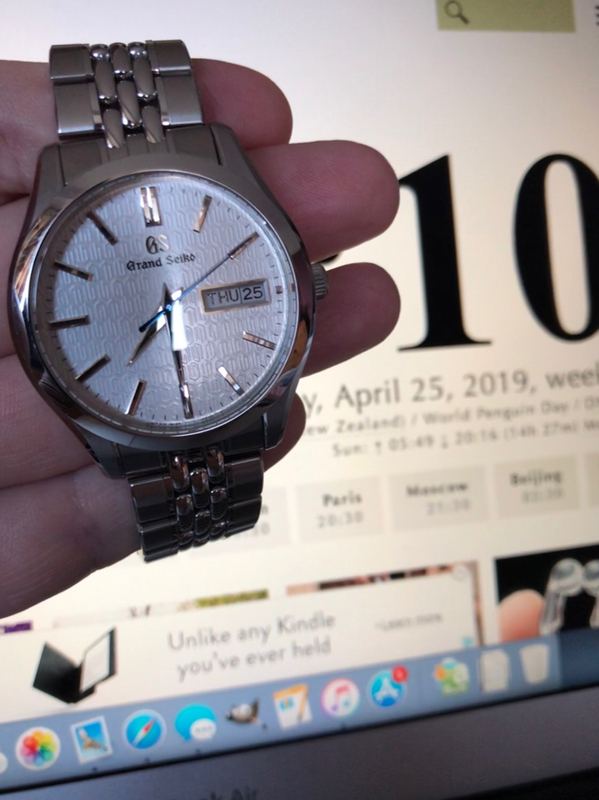 I bought the watch to be my main wearer, so I've been very lucky, and I've loved having this thread to give my gratitude a thorough run around. Generally, I'm perfectly content with +/- 10 s/d. The GLX5600 is looking good here; in reality it’s now about +0.5s so I’ll enter that into the table. Not wishing to add unduly to your work load JG2, but it might be useful to add an extra column at the end of the table indicating if/when the latest update was made. It could also be used to record early exits as well. I should be updating my Clio before the end of the week but it's looking like -1s over the first three weeks. I'm beginning to wonder if the wife isn't quietly resetting it when I'm not looking for a bit of a laugh. Yep, that's a good point. Rest assured it's all there in the background (1 column per week, no point getting into anything more given the 7-month horizon) and you'll see that I've shaded some cells where we haven't had an update for a little bit. 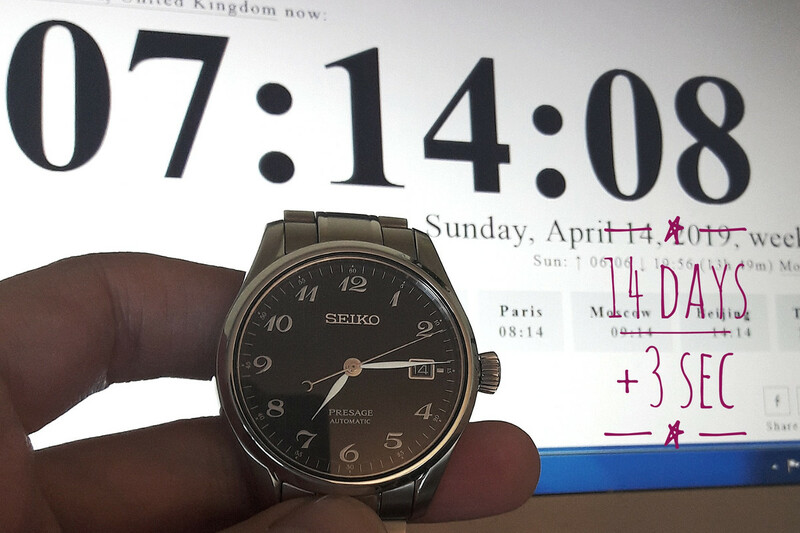 It would appear I got it the wrong way round with my casual time check yesterday. The Clio has actually gained ~1 sec since the initial setting three weeks ago. 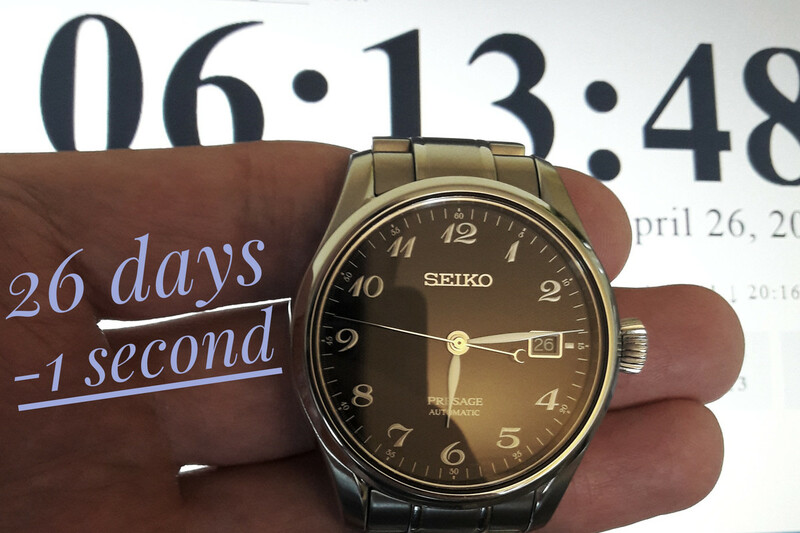 Looking over the other entries the Seiko 9F models here are - in my eyes anyway - some of the best lookers in the range, as well as being effortlessly precise. I'm a little surprised however at the relatively poor performance of the Spring Drives. Still a long way to go however. Expectedly accurate. I absolutely love this watch, one I never plan to let go.